Provide comfort for the family of Linda Garrison with a meaningful gesture of sympathy. Linda Sharp Garrison, age 68 of Paris, died on Thursday, January 31, 2019 at the University Medical Center in Lexington. Linda was born on September 15, 1950 in Paris, Kentucky, the daughter of the late James S. and Naomi Reynolds Sharp and attended Bourbon county school. She married Larry Thomas Garrison who preceded her in death in June of 2006. Also preceding her in death were four sisters, Patricia Sue Sharp, Mary Margaret Sharp Dray, Mildred Sharp Brown, Lorena Sharp Arledge and a brother, Coly Sharp. Linda was a loving homemaker for her family and was a member of Silas Baptist Church. She is survived by her daughter, Valerie Garrison (Jason) Schul of Clark County, son, Stewart Garrison (Shannon McKinney) of Bourbon County, one sister, Shirley Bailey of Paris, two brothers, Douglas (Barbara) Sharp of Paris and Jackie Sharp of Richmond. Also surviving is a special little girl, Britney Berryman, special nephew Jimmy Louis Cravens, nephews, Tim Hagard, Peewee McCarty, Bo Bo Watson, Willie Watson, James Sharp, Cory Cravens, nieces, Carla Sharp, Vickie Sharp and several other nieces, nephews, great nieces and great nephews. The funeral service for Linda Sharp Garrison will be on Tuesday, February 5, 2019 at 11:00 a.m. at Hinton-Turner Funeral Home with Rev. Curtis Coots officiating. Interment will follow in Paris Cemetery with Casket Bearers being Tim Hagard, Greg Vault, Bill Kehn, Shannon McKinney, Stewart Garrison and Randall Cole. Honorary bearers are Valerie Schul, Jason Schul, Britney Berryman and Jimmy Cravens. Visitation will be held between the hours of 5:00 p.m. – 8:00 p.m. on Monday, February 4, 2019 at Hinton –Turner Funeral Home. The family request donations to be to Silas Baptist Church, 274 Silas Road, Cynthiana, KY 41031 and may be made at the funeral home. To send flowers in memory of Linda Garrison (Sharp), please visit our Heartfelt Sympathies Store. 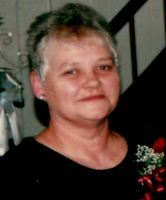 Provide comfort for the family of Linda Garrison (Sharp) by sending flowers. Miss you mom .see u on the other side tell dad hi lol .